Product prices and availability are accurate as of 2019-04-19 05:35:22 UTC and are subject to change. Any price and availability information displayed on http://www.amazon.com/ at the time of purchase will apply to the purchase of this product. 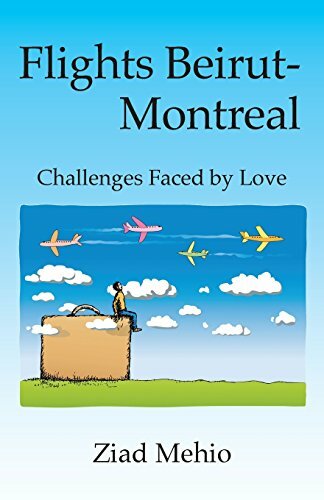 Author Bookstand is proud to offer Flights Beirut-Montreal: Challenges Faced by Love by Bookstand Publishing. Bookstand Publishing offers books by the best indie authors throughout North America and the world. Bookstand Publishing is dedicated to offering original content to a broad audience and promoting great authors, literacy, and freedom of expression. Flights Beirut-Montreal: Challenges Faced by Love has generated a lot of interest and excitement and we think it would be an excellent addition to your library. The war between the Lebanese army and the Syrian troops was destructive. In 1989, the two hospitals where we worked -- Barbir and Middle East -- suffered the bombing. This last battle caused huge material and human losses to the Lebanese people. Patients no longer dared approaching the hospitals where we worked, during this difficult period, hence the lack of income. The children had been without school; they needed a better future. Technology in our medical fields had left us behind. I understood that the true country is the one that gave me protection. We had lost all hope. We left Beirut the 12th of September 1989. 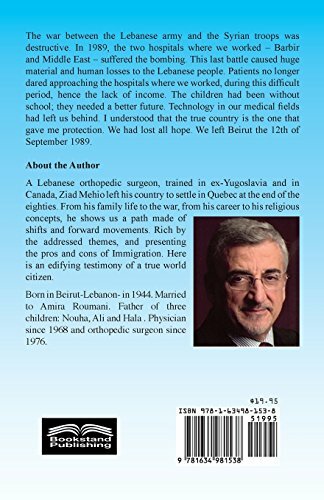 A Lebanese orthopedic surgeon, trained in ex-Yugoslavia and in Canada, Ziad Mehio left his country to settle in Quebec at the end of the eighties. From his family life to the war, from his career to his religious concepts, he shows us a path made of shifts and forward movements. Rich by the addressed themes, and presenting the pros and cons of Immigration. Here is an edifying testimony of a true world citizen. Born in Beirut, Lebanon, in 1944. Married to Amira Roumani. Father of three children: Nouha, Ali and Hala. Physician since 1968 and orthopedic surgeon since 1976.